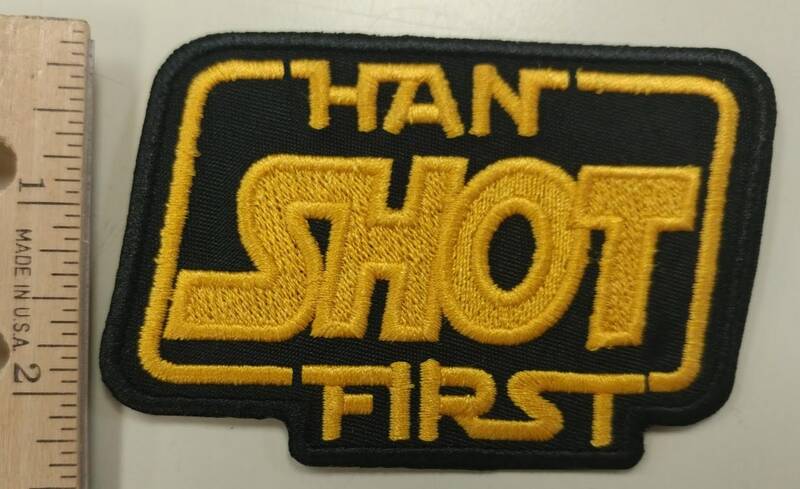 This inspired patch is great for any Star Wars fan. 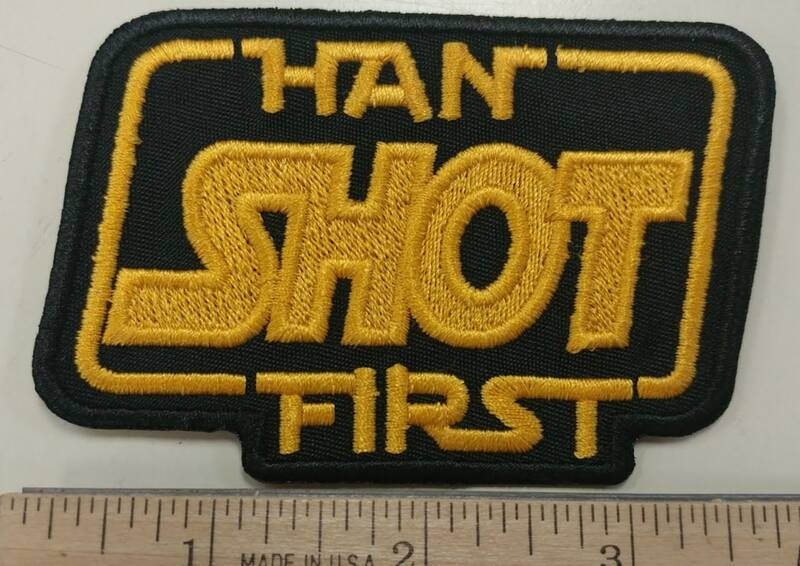 It is sewn with yellow gold thread onto a black patch background. 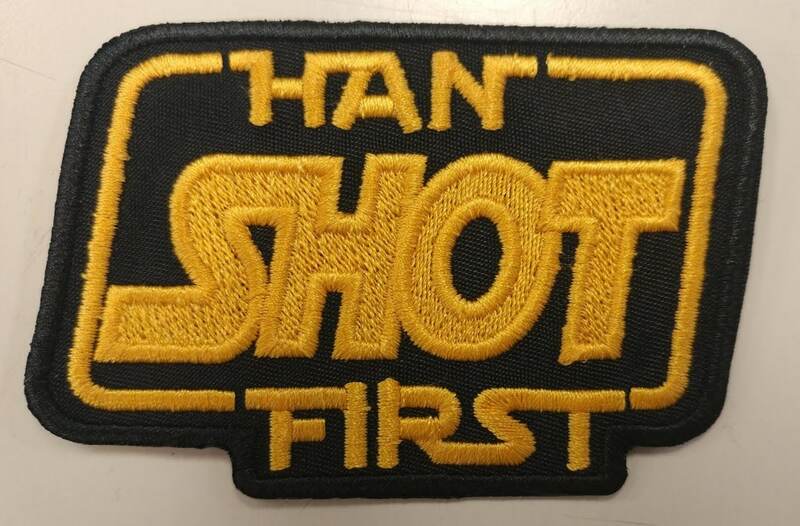 It measures approximately 3.5"W X 2.5"H and has an iron on adhesive to help with application. Received quickly. Well made and sturdy.